Fast, friendly, and fully guaranteed, Our Fabrication and Fixing services have become well renowned throughout the London area. Since 2000, We have been handling projects with the skill and professionalism our clients have come to expect. We always stand behind our work, with customer satisfaction being our #1 priority. Contact us for more information about our services and how we can help you. Health and safety is taken very seriously and is managed from the top down ensuring that from design all the way to installation that sign off safety is incorporated through each step. We are always up to date with regulation. Quality is managed throughout the process from the purchasing of materials to the design, fabrication and installation.Testing and inspections are also carried out by external bodies to assure quality when required. One of the largest steel fabricators and suppliers in London. Smart steels undertake the design, manufacture and installation of all Architectural Metalwork, Structural and Secondary Steelwork. We will cut, fabricate and coat your steelwork within our privately owned workshops utilizing the latest technologies, equipment and techniques. Our aim to provide a high quality, efficient and professional service that suits the requirements and time constraints, of commercial and residential clients ensuring that your project continues smoothly to completion. 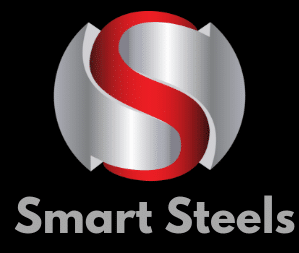 Smart steels has been established for over 40 years. Smart steels has adapted dramatically to meet the many challenges faced in the increasingly demanding construction environment. We currently work from our factories in Mitcham meeting the demands of our valued clients all over London and surrey with the goal to eventually work across the whole of the UK. We make sure every aspect of project management is delivery to highest standard using our four step approach. We identify all client requirements by carrying out a survey on the location. This is the stage in which the client requirements must be met on time and within budget. The client has accepted the final product, the project is complete and ready for closure. For every single contract we enter, our approach will deliver substantial benefits to your project: Reduction in cost – resulting from one negotiation and one management team We do not subcontract – This reduces the likleyhood of error. In-house Fabricators – again reduces the likelyhood of error and mis-communication.